The former mayor has earned millions in speaking fees. Rudolph “Rudy” Giuliani, the lawyer, businessman, presidential hopeful and former mayor of New York City, is worth millions. He made his money consulting for wealthy clients, commanding large speaking fees for public appearances and working as a lawyer in private practice. His recent announcement that he would be divorcing his wife Judith of 15 years, however, could mean that his net worth is about to significantly change. Click through to learn about the most expensive celebrity divorces. Giuliani’s time after serving as the mayor of New York City has proven lucrative as he has channeled that experience into major success as a consultant and paid public speaker. His net worth is estimated to be $45 million, according to Celebrity Net Worth. The clearest picture of Giuliani’s career net worth comes from his 2007 financial disclosure when he was running for the Republican nomination for president. In the disclosure, Giuliani reported assets of between $18.1 million and $70.4 million, a significant jump from the $7,000 in assets he reported to a divorce court during the end of his second marriage in 2001. At the time, Giuliani had reported a salary of $195,000 a year as mayor of New York and was due a $3 million advance to write two books. How did Giuliani go from $3 million to his current net worth? He founded a consulting firm — Giuliani & Company — as his time as mayor was winding down. Giuliani estimated the value of that firm as being between $5 million and $25 million in his 2007 financial disclosure, and the business would take in $100 million over the next five years. Giuliani reported getting paid over $4 million for his work for the firm in 2006 alone. The biggest source of wealth for Giuliani might actually be the fee he commands for speaking engagements, however: upwards of $300,000. Those engagements earned him $11.4 million in payments during 2006 alone for some 124 paid speeches. Rudy Giuliani was born in Brooklyn, New York, in 1944 to an Italian-American family. 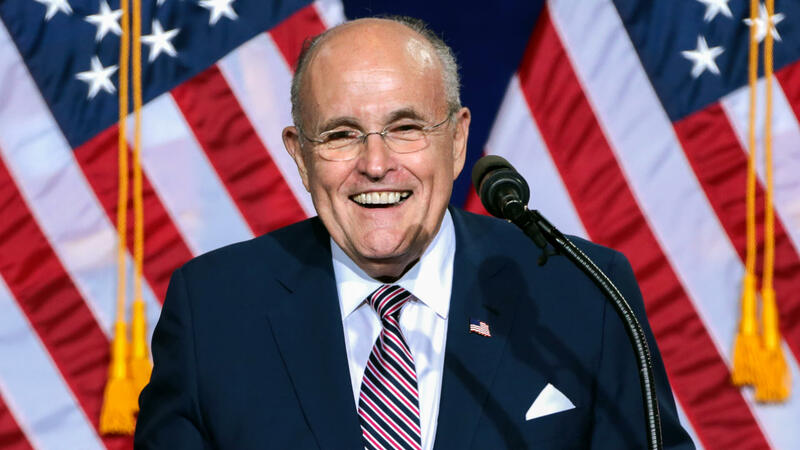 After graduating from law school at New York University, Giuliani went on to work for the U.S. Attorney’s Office and eventually won an appointment as the U.S. attorney for the Southern District of New York. He became well known for his role in attacking organized crime in New York City and had so much success that FBI sources indicated mob leaders came close to putting out a contract for his life. Giuliani would leverage his fame as a successful U.S. attorney — scoring over 4,000 convictions during his time in office with only 25 reversals — into a successful run for mayor of New York City on the Republican ticket in 1993, after narrowly losing in his first run in 1989. He was notable as a “law and order” mayor who oversaw a reduction in serious crime by over a third and watched the murder rate drop in half in just his first two years. Giuliani rose to national prominence after the attacks on the World Trade Center on September 11, 2001, when he was widely viewed as providing stable leadership through an extremely difficult time for the city. He left office at the end of 2001 and attempted to move into national politics, unsuccessfully running for the Senate in 2000 and for the Republican nomination for president in 2008. Giuliani was an early ally of President Donald Trump and was even the subject of speculation about a cabinet post during Trump’s transition. In April 2018, he was hired to the president’s personal legal team to help defend against the ongoing investigation into the Trump campaign during the 2016 election. Special Counsel Robert Mueller is exploring potential Trump connections to the Russian intelligence efforts to disrupt the election. Not long after joining Trump’s legal team, Giuliani made waves with a round of television appearances in which he clarified that Trump reimbursed personal lawyer Michael Cohen for Cohen’s $130,000 payment to adult film actress, director and producer Stormy Daniels. Giuliani also started making news for personal reasons when his wife of 15 years, Judith, announced in early April that she would be seeking a divorce. This was Giuliani’s third marriage but only his second divorce. His marriage to Regina Peruggi from 1968 until 1982 was annulled upon discovery that they were second cousins. His second wife was television personality Donna Hanover, from whom he was divorced in 2002. Check back for updates on Giuliani’s net worth, as there are early indications that divorce proceedings with Judith could be contentious. Both spouses have submitted court paperwork to find out each other’s net worths, likely indicating that there are disagreements on how to divide assets. There could be a complete picture of Giuliani’s finances available to the public in the near future. Click through to see President Donald Trump’s net worth. As Barack Obama turns 57, he's making more money than ever.